Here my CA son and I are waiting for our United flight from Boston to Chicago. 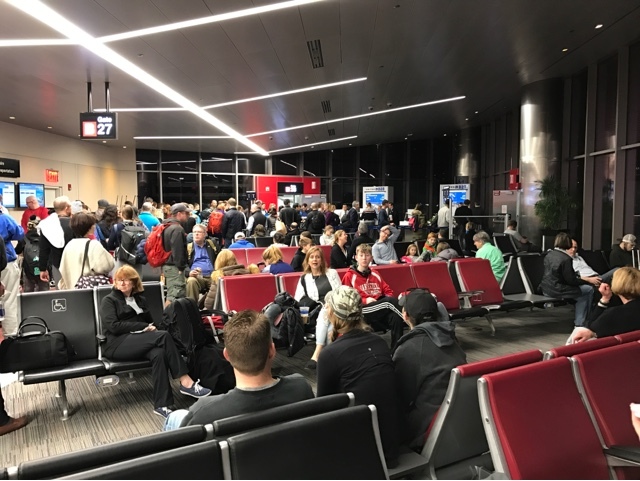 I like Southwest Airlines better, as too many people are trying to be the first in their group. Staying overnight in Boston was the right decision considering our flight is at 6am and I live an hour and fifteen minutes away. This would have meant leaving the house at 3:00 to ensure we got here in time. 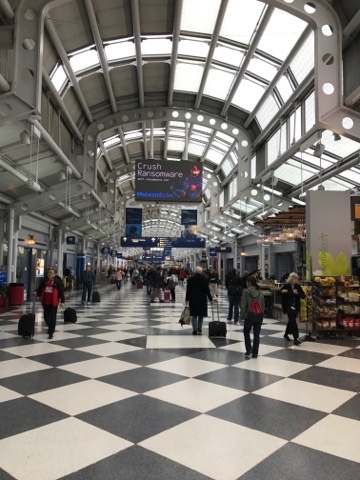 We arrived in Chicago a couple hours later and had about 2 hours of layover time to get something to eat. I was in group 5 birding again as I don't have a status to get a lower group on United. I got to sleep on both flight segments making the time go by faster. I was listening to podcasts and I had to restart a few after sleeping through them. We got to my son's house in the early afternoon and he was going to go in his crawl space to put some foam insulation on his hot water pipes, so I crawled in with him and passed him things. He had a jumpsuit on and me just my clothing so I got very dirty. We ran out of foam by two pieces so it was a trip to Home Depot for more and it was back in the crawl space to finish up. We all went out to eat as a family st Red Robin and we came out stuffed. 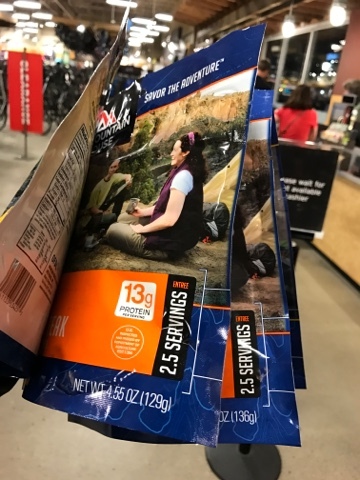 It was 8:00 pm when we finished dinner and got back to the house, when I decided to go to REI to buy some dehydrated food to try out for my backcountry hike in March. I leave San Diego tomorrow (Friday) for AZ and testing of the lightweight backpacking equipment I have purchased while here in San Diego, and to hike with a full pack. This will be my primary focus for the next couple of weeks. I will be covering all the details about what I plan on bringing and the impact of those decisions on the weight of my loaded pack. I am prepared to make some changes as I start to use the equipment.